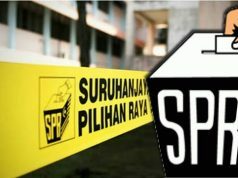 ​PUTRAJAYA – The Election Commission of Malaysia (EC) has advised all voters, especially for those who are eligible to vote, either domestically or overseas not to photograph any document such as ballot papers, forms or sampling related to 14th General Election (GE14) and post it through social media or any communication media. The prohibition aims to ensure the transparency of the VOTE IS SECRET be preserved in GE14. The prohibition covers all types of voting, including postal vote which receives the election’s documents before early and regular voting. It also aims to preserve the security and public concerns throughout the election process. “Any individual or parties found guilty of this offense may be liable to action under Section 3 of the Election Offenses Act 1954 (Act 5), on conviction, to be imprisoned for a term not exceeding two years or to be fined not exceeding RM5,000 or be imprisoned and fined. 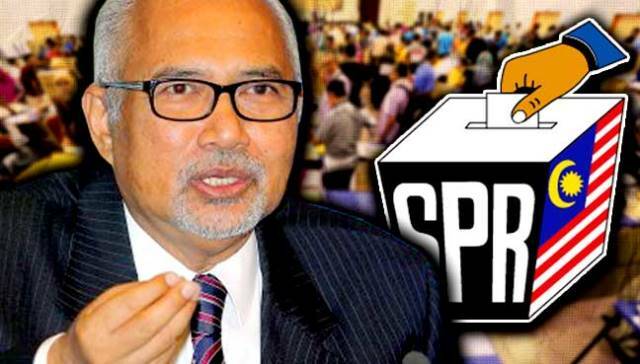 The individual also may not be registered or listed as a voter or vote in any election until five years from the conviction, and if he/she has been elected in any election, his/her seat shall be vacated from the date of the conviction” Tan Sri Mohd Hashim Bin Abdullah said in statement. “In this regard, all voters are reminded to ensure the confidentiality of their votes” Mohd Hashim said.